Home » Uncategorized » Bringing Walls ‘home’ to B.C. Bringing Walls ‘home’ to B.C. As a writer, I harbour a strong affection for British Columbia. Some of my first published writing appeared in the B.C. journals Prism International and Event. 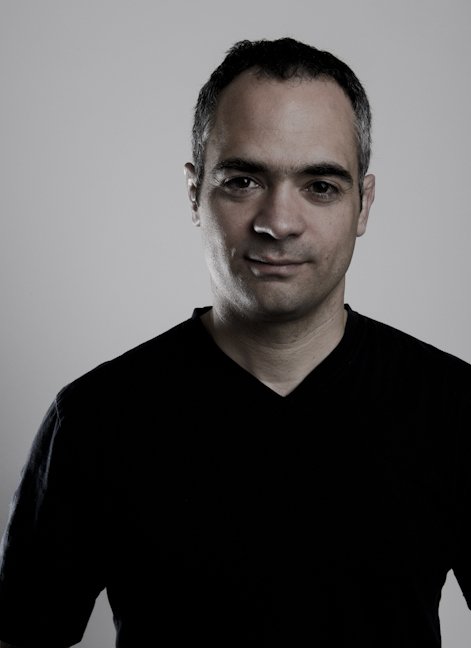 Vancouver-based Geist magazine published an excerpt from my first book. More than this, though, I felt like I was a part of a writing community on the other side of the Rockies long before I had one home in Calgary. And for this I thank the British Columbia Festival of the Arts, now sadly defunct. Back in 2001, while on a trip to Nelson, I saw a poster calling for submissions to the otherwords program, the literary program of the British Columbia Festival of the Arts, which was to be held in Fort St. John that year. The festival was only open to B.C. artists, but I pleaded with the organizer, John Gould, long enough that he let me break the rules and submit an application package to the festival’s creative nonfiction program. I was accepted. The festival turned out to be the first bit of nourishment for my fledgling writing career (which, truth be told, still feels ‘fledgling.’) Wayson Choy was my workshop’s mentor and, by some miracle, he saw something in my writing that he wanted to support. After the Festival, Wayson got me my first agent. When that fell apart, he found me another one. For more than ten years since Fort St. John, Wayson has helped my career with good advice and the occasional effusive reference letter. I owe him an incredible debt that I can never pay back. Wayson became a mentor, but the other writers I met at the BCFOA in Fort St. John and in Surrey the following year – John Gould let me apply again – became my co-conspirators. They included John Vigna, Elizabeth Bachinsky, Zsuzsi Gartner, Judy Macfarlane, Amber Dawn, Fiona Lam, and Jenn Farrell – among others. My time with most of them was brief, but they became my first community of writers. Aside for Zsuzsi, my workshop mentor in Surrey who was already an established author, the writers I shared the Festival with were all in the same stages of their career. We were all still searching for our first substantial publication. All kicking at the door of the publishing world and demanding to be let in. And it felt like we were all in it together. This is why I am so excited to be bringing Walls: Travels Along the Barricades to Vancouver at the end of this month. Even though I’ve never lived there, it feels a little like going home. 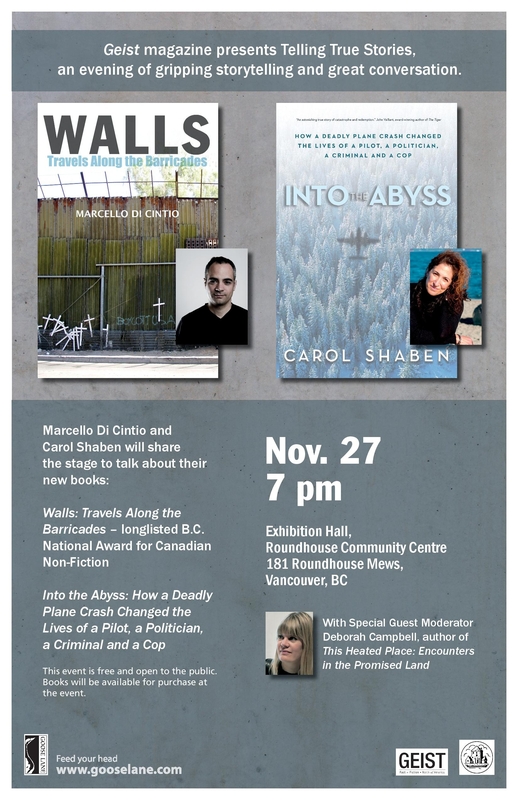 I’ll be joining fellow writers Carol Shaben and Deborah Campbell for my event in Vancouver. Carol and I will read from our new books, then Deborah will moderate a discussion about literary journalism and nonfiction storytelling. See the poster above for details.